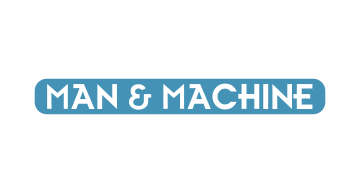 Man & Machine, Inc was founded in 1982 and is located in Landover, Maryland. Manufacturer of Medical Grade and washable keyboards & mice for use in the healthcare, industrial and public safety industries. Featuring Tru-Lock, for easy cleaning and disinfection at the workstation. Our Premium keyboards and mice are born in the USA. Other products include privacy computer monitors and tablets, and vinyl wrapping of iPads, tablets, monitors and laptops for easy identification, and point-of-sale messaging. Man & Machine’s OEM’s peripherals for many Fortune 500 companies. Additional offices are located in Tennessee, Philadelphia, Taiwan and The Netherlands.